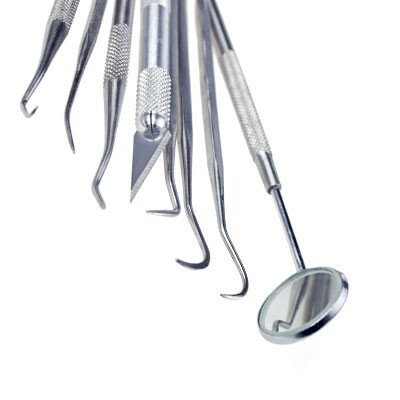 We also supply equipment to the dental, podiatry and veterinary markets. Installation and training for staff is included in the price paid – there are no hidden extras. help keep ongoing costs down. Because we focus on the service and repair of a limited range of autoclaves and washer disinfectors, there is little we do not know about them; we are passionate about the products we support. Our knowledgeable staff are happy to answer your questions, and some washer and autoclave faults can be resolved over the phone, avoiding an unnecessary callout. Serve-ICE Ltd do not advertise widely; our best advertisement is a recommendation from one of our customers. Being small allows us to be completely flexible in our approach to dental equipment service; we can tailor-make a package to suit your needs. All services and revalidations are carried out to the manufacturer's specifications and include the recommended service parts. On-site services are carried out at a mutually convenient time in a couple of hours with minimal disruption to the practice, no risk to the unit from courier transportation or inconvenience of packing and unpacking the unit. If you have a very busy practice you can request a loan Statim unit for use during the service and revalidation (subject to availability). If extra works are required, this will not be done without the permission of an authorised person. For washer-disinfector services the cost depends on whether a unit can be serviced on-site, the number of cycles completed each year and the quality of the water supply. Benchtop WD units may require more working space than is available in small or busy decontamination areas. If this is the case the unit is taken to our fully-equipped workshop and a loan washer-disinfector installed. Couriers are not used to move machines; your machine is always in the hands of experienced engineers. The Hydrim M2 is always serviced in situ. We undertake handpiece repairs using high quality compatible cartridges, or original manufacturer parts if requested. It is reckoned that more than 50% of failures have poor maintenance as a contributory factor. We supply a range of mechanical oilers with and without cleaning solutions and logging to keep your hand pieces in good order for as long as possible. For details see the Handpiece Maintenance tab in the Equipment section. Many faults are repaired on-site in a couple of hours. Engineers carry a good range of the parts required for the most common faults. More complex repairs and intermittent faults requiring testing can be carried out at our fully equipped workshop in Surrey. In the event of breakdowns we can usually reach you within a few days, but if not a loan Statim can be sent to the practice without charge for interim use. Units are collected and returned by an engineer so staff are able to continue with their normal routines. No charge is made for a loan machine during repairs or servicing. Most common faults can be fixed on-site within a few days of a reported problem. Autoclaves are pressurised and therefore potentially dangerous. They should be checked on a regular basis. This is a HSE requirement. Autoclaves fall under the remit of the Pressure Systems Safety Regulations 2000 (PSSR), and must have regular inspections from installation to ensure they are safe for staff to operate. These are carried out according to the criteria of a Written Scheme of Examination, a copy of which the owner should hold on the premises. Equipment without a current report (including any ‘spare’ autoclaves) should not be used. Serve ICE Ltd issue detailed unit-specific schemes and inspect thoroughly after service. Engineers will always recognise and deal with an impending problem before the inspection. A Pressure Vessel Inspection Report is similar to an MOT on a car – you can use one without it in place, but if there is an incident involving your pressurised equipment without a current report your insurance is likely to be rendered void. 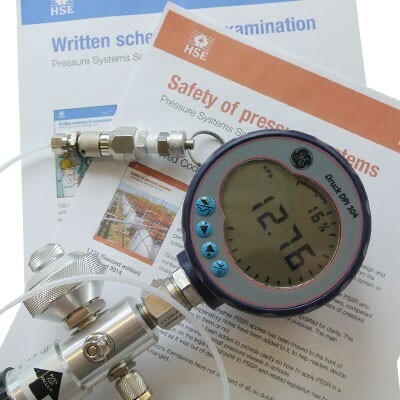 A current Pressure Vessel Inspection Report is a HSE requirement from installation. Re-validation is a periodic check that the readings shown on the unit screens and your own logging devices are accurate. At manufacture, equipment is calibrated to the correct pressure and/or temperature readings, but these can vary a little over time. You need to know that your machine is continuing to work at the required temperatures to comply with the regulations, and this is checked using equipment which is calibrated against known constants. All re-validations must be logged with tamper-proof recording devices which are then checked against unit readings. Serve ICE Ltd can carry out re-validation testing using the specified test protocols provided by the manufacturer for their units. Serve ICE have a good selection of loan units of all types. All loan units are regularly serviced, inspected and revalidated. In case of a breakdown that cannot be fixed within a few days, or where a workshop repair may be needed, we can supply a loan unit without cost. Where possible we aim to replace your unit with an equivalent type (subject to availability). Serve ICE have a good selection of loan units of all types. Serve ICE sell distillers, water softeners and Reverse Osmosis systems. Many areas of the UK suffer from hard water which causes problems for equipment. Distillers and washer-disinfectors are particularly vulnerable to this scale which will build up and eventually cause breakdowns. We supply, install and service equipment for all your water treatment needs. See the specific tabs in the Equipment section of the website for further information. Serve ICE Ltd also recognise the importance of keeping all water treatment equipment clean and offer several different cleaning solutions. We supply, install and service equipment for all your water treatment needs. Serve ICE repair some other types of small equipment such as LM scalers. 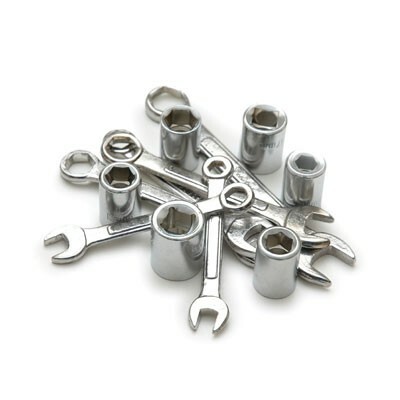 Please ask if you have a piece of small equipment that needs repairing. If we cannot help, we may know someone who can! Serve ICE repair some other types of small equipment such as LM scalers. We can advise on in-house maintenance and testing requirements that are needed to comply with current infection control guidelines. We supply, service and repair selected equipment, as detailed in the Our Services, Consumables and Equipment areas of this site. supplied on a next working day basis if an order is placed before 2pm. We also supply a number of dental products. See below for the range of products we offer. 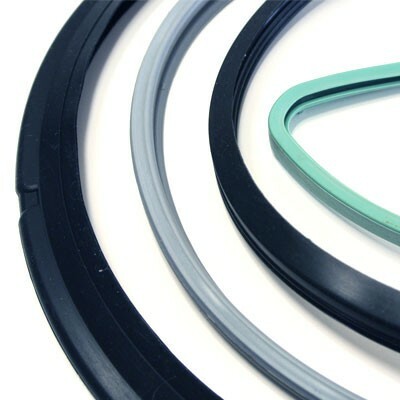 Cassette and door seals available for all models we service. 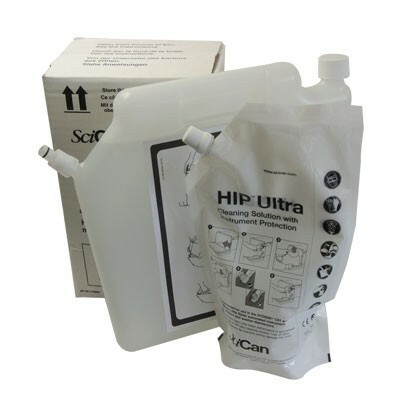 We supply all types of HYDRIM Cleaning Solution with Instrument Protection for the SciCan washers. The HIP™ chemical has been carefully formulated to provide outstanding compatibility with a wide range of materials and coatings. We also sell tablet salt which should be used in washer-disinfectors, rather than granulated salt. Need something extra? We can help. These devices are to be used once every working day to ensure that your steriliser is functioning properly on a daily basis.It is imperative to use the right type for your unit; please check if you are not sure which is correct for your machine. 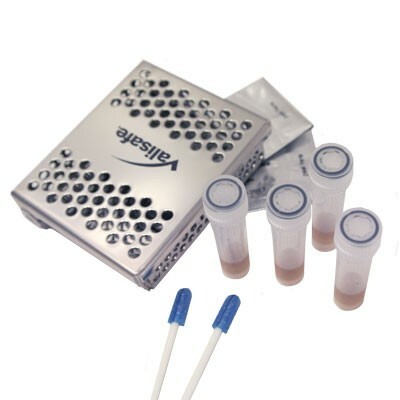 Test strips are also available for all the above types. All washers require periodic tests by the user. 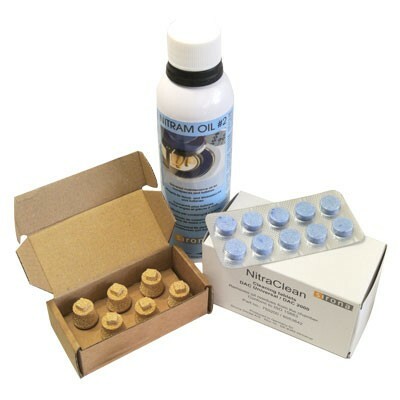 We supply those test consumables required for SciCan (Hydrim) washers. 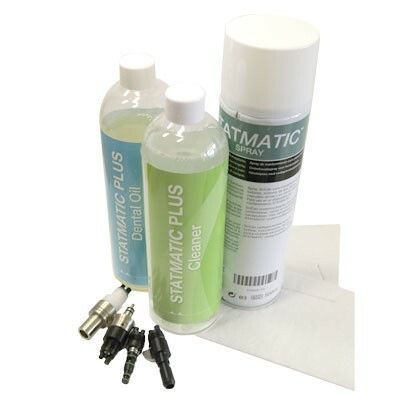 We supply oil, cleaner and absorption pads for the Statmatic range of handpiece maintenance equipment. 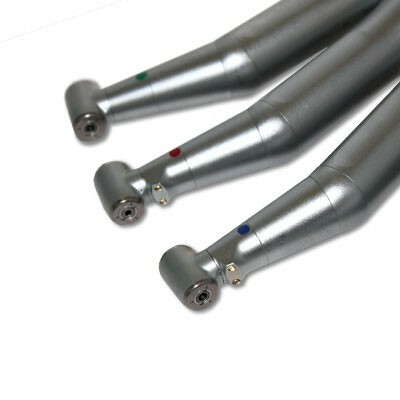 We also supply replacement or additional adaptors for all main makes of handpieces. Stat-Dri rinse agent improves drying time and extends the life of the STATIM seal. 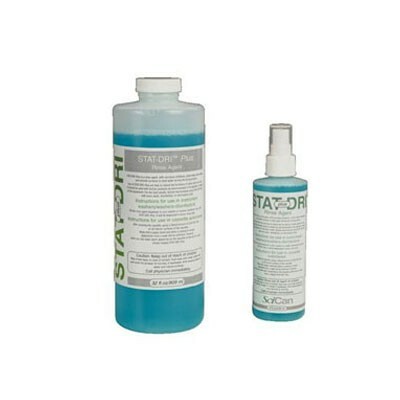 For use on interior surfaces of Statim autoclave cassette, Stat-Dri forms a coating that remains on the cassette surface. Daily applications are recommended to substantially reduce drying time, and extend the life of instruments. Available in 57ml, 227ml and 1000ml bottles. An essential, validated step in hand piece cleaning, care and sterilisation protocol. Safe, broad spectrum, non-alcoholic, disinfection cleaning wipes, validated to be 99.99% effective. 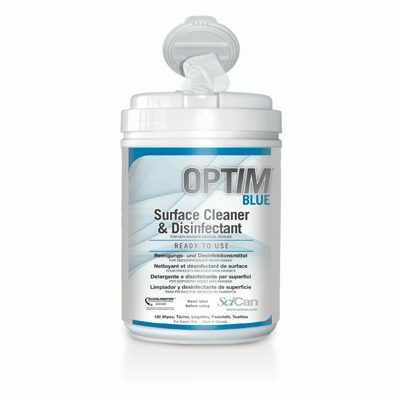 Kills germs on surfaces up to 10 times faster than other leading cleaners. Eco-friendly, biodegradeable, non-alcoholic formula. Microbially effective over a wide spectrum, in as little as 30 seconds. Safe to transport, store and use. We supply rolls singly or in packs. 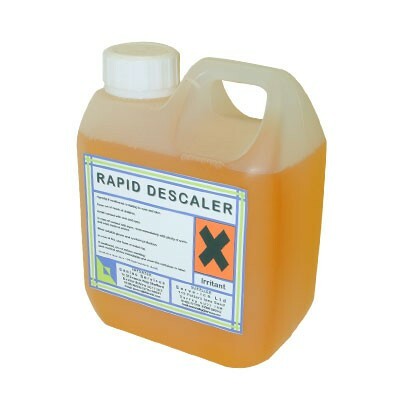 An effective treatment for limescale build-up in washers and distillers. Treatment for limescale build-up in washers and distillers. The Strauss Restorative Magic strip is an adjustable dental strip system for interproximal stripping, finishing and contouring. Available as an introductory kit (which contains a selection of the single and double sided blades in four different grits, plus two saw blades) or as individual/replacement blade types. The handle allows you to work from either side, and the blade itself can be tightened or loosened to follow the tooth profile. 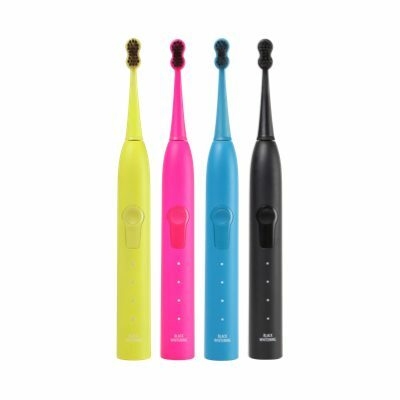 Express your personality with the Megasmile toothbrushes - Bright toothbrush colours for radiant white teeth. A great alternative to bleach and abrasives in toothpaste for tooth whitening, the Megasmile toothbrushes (available on our online store) has placed charcoal into the toothbrush with it's patented activated charcoal particles (ACP). With 4 brushing modes this electric sonic toothbrush offers; Sensitive Mode Gentle and cleansing - For sensitive teeth and irritated gums. Gentle cleansing by fine, high-frequency movements. Intensive Mode Powerful and efficient - The hydro-dynamic sonic toothbrush generates a pulsating flow of fluids in areas the brush can't reach, for an optimal clean all round. Deep Cleansing Mode Thorough and strong clean - No more disturbing stains on your teeth! Powerful wiping movements deactivate and dissolve dark stains on your teeth caused by smoking, drinking red wine, tea and coffee. Polishing Mode Polishing and Brightening - The polishing function supplements the cleaning modes and adds a dazzling shine. Visit our store for more information. 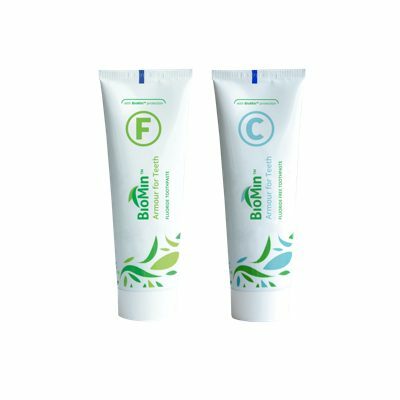 The award-winning formula found in BioMin™ F toothpaste slowly releases Phosphate, Calcium and Fluoride ions. These combine to form Fluorapatite. BioMin™ toothpastes are designed to help treat three common problems: Tooth decay or caries, acid erosion (dissolution of the tooth surface in acidic drinks), dentine hypersensitivity (tooth pain associated with cold or mechanical stimuli). For wholesale packs (dental practices or pharmacies) please contact us for pricing and ordering details. If you live outside of the UK please also contact us directly for sales information. 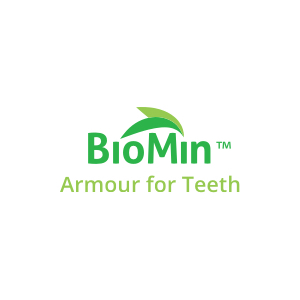 For more information about BioMin™ toothpastes please visit www.biomin.co.uk UK Customers can purchase from our online store or ebay. 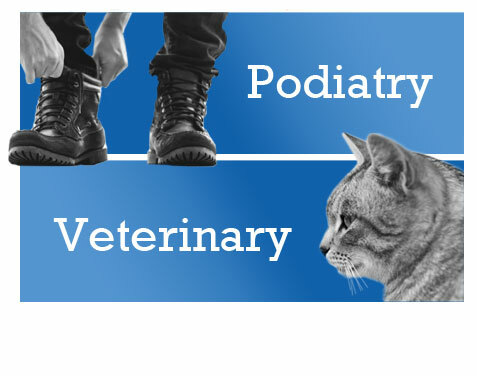 Serve-ICE Ltd is a UK suppler of decontamination equipment direct to the veterinary and podiatry markets. 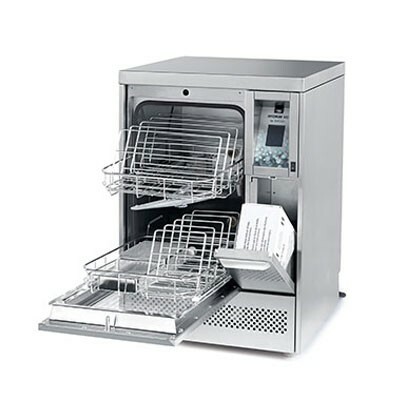 We offer all models of autoclaves and washer-disinfectors. Our veterinary clients find the Statim to be extremely useful due to its fast turnaround of instruments. 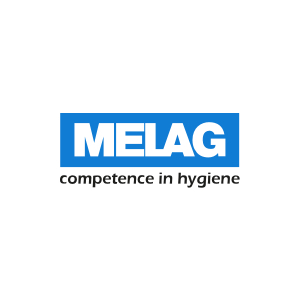 We also offer service support for the full range of Melag units that are suitable for veterinary use, including the larger Cliniklave 25 and Cliniklave 45 range models, as well as the Vacuvet machines. the decontamination needs of your practice. Please see the range of equipment we can provide your practice below. 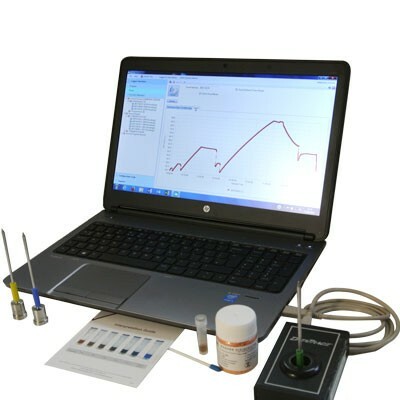 Hydrim C61WD + Statim G4 2000 Are you setting up a new practice or expanding your horizons? Is it the time to update some older equipment? Are you trying to achieve best practice for your NHS contract? We have a seriously good equipment bundle offer which includes a washer disinfector with pre-install validation included, and a Statim autoclave – the ideal autoclave for fast turn-around of instruments (Statim G4 2000). If you wish, you can also add on an Aquastat water distiller, which provides high-quality water for your Statim. The bundle prices include delivery, set up and user training at installation (within our area) and some extra items to get you going. The Statim includes pressure vessel inspection required at install and a protective mat for the cover. 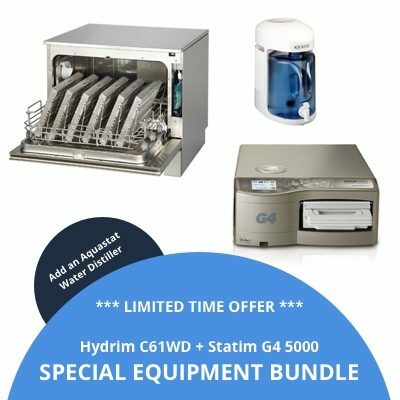 Looking for a larger Statim, we also have a bundle price on the Hydrim C61WD + Statim G4 5000. Please inquire for these special bundle prices – they really are too good to miss! Is it the time to update some older equipment? Are you trying to achieve best practice for your NHS contract? 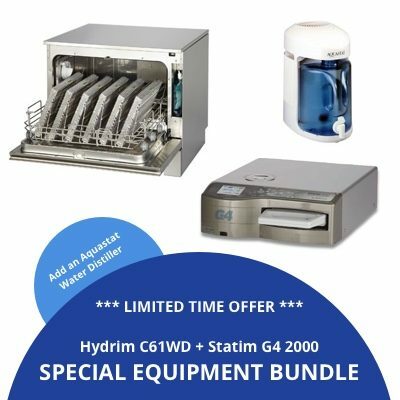 We have a seriously good equipment bundle offer which includes a washer disinfector with pre-install validation included, and a Statim autoclave (Hydrim C61WD) plus the ideal autoclave for fast turn-around of instruments (Statim G4 5000). 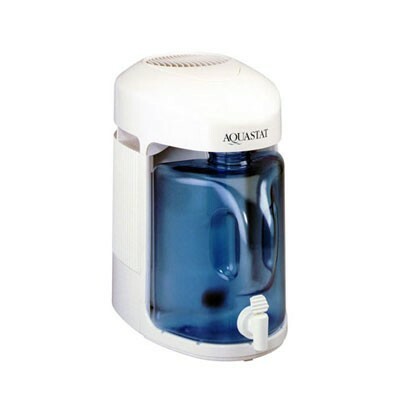 Also, if you wish, you can also add on an Aquastat water distiller, which provides high-quality water for your Statim. The bundle prices include delivery, set up and user training at installation (within our area) and some extra items to get you going. The Statim includes pressure vessel inspection required at install and a protective mat for the cover. Please inquire for these special bundle prices – they really are too good to miss! It has the rapid sterilisation of the Statim 2000S, but with the introduction of touchscreen operation and optional user PIN release, together with in-built logging and internet capabilty if required. 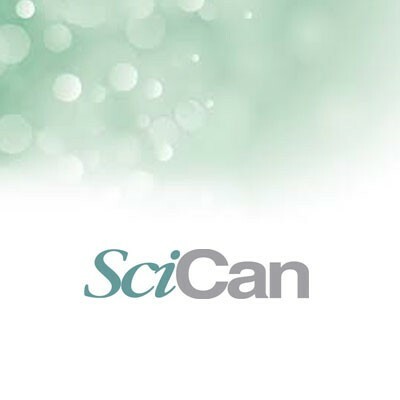 Send your data direct to the practice computer, monitor the progress of cycles and permit remote access for fault diagnosis through the SciCan web portal. 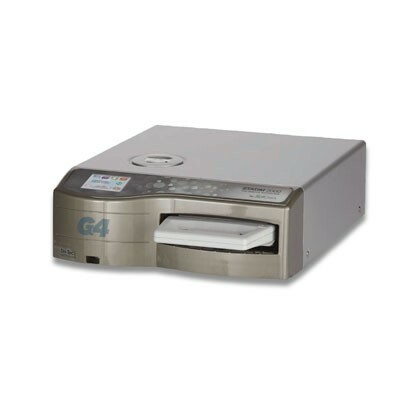 The STATIM 5000 G4 has been designed to provide you with a complete solution. 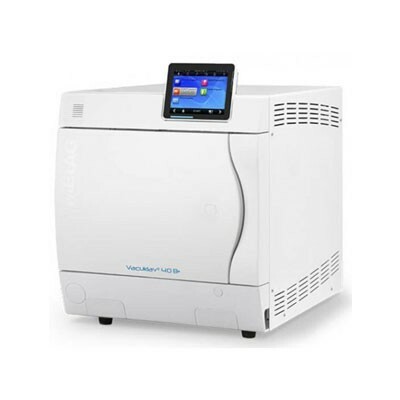 It has the rapid sterilisation and larger capacity of the Statim 5000S, but with the introduction of touchscreen operation and optional user PIN release, together with in-built logging and internet capabilty if required. The STATIM 2000S has a very fast cycle and has the added advantage of employing a fully removable chamber (the cassette) so you can aseptically transport a set of freshly sterilized instruments directly to the procedure area. 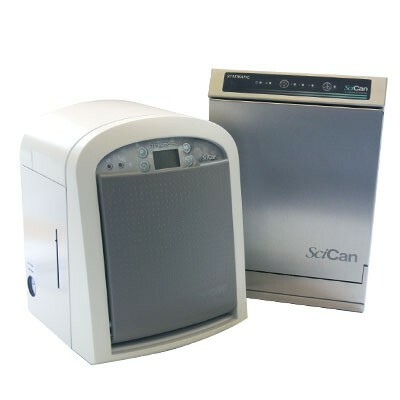 The SciCan's STATIM 2000s cassette sterilizers have a biological effectiveness that has been proven in tests for hollow and solid instruments and are ideal for processing handpieces too. The perfect blend of speed and capacity, the STATIM 5000S features a cycle of less than 20 minutes with a larger chamber than the 2000S model. 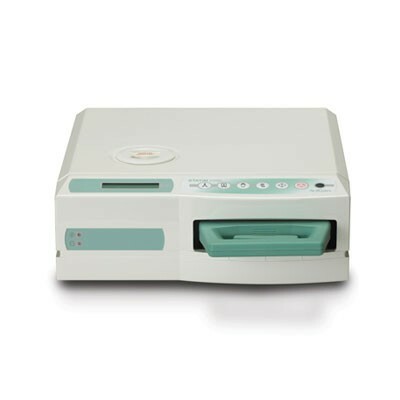 This larger capacity cassette provides rapid high volume throughput sterilization in less time. 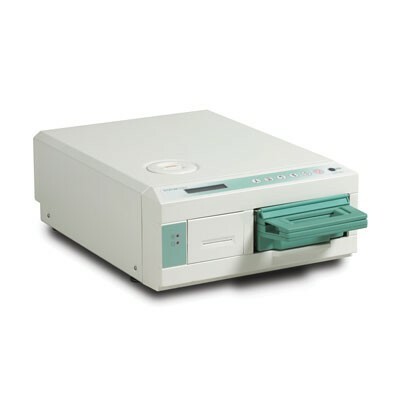 Similar to the STATIM 2000S, the STATIM 5000S also employs a removable cassette, allowing dental practitioners to transport sets of freshly sterilized instruments to the treatment rooms safely and aseptically. 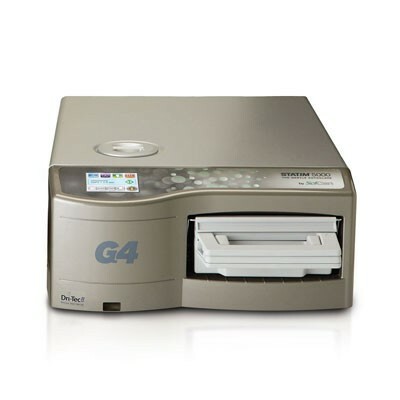 Effective sterilisation begins with the HYDRIM C61wd G4 instrument washer-disinfector. 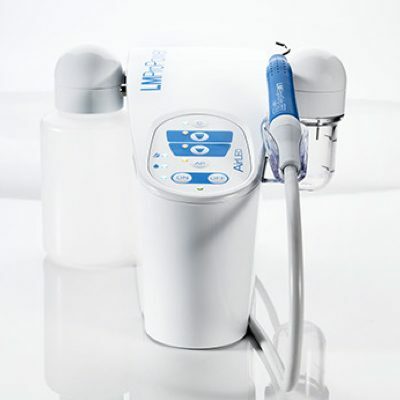 The HYDRIM automatically washes, rinses, disinfects and dries dental instruments, via its simple touchscreen controls. Protect your staff as well as your patients by removing the need for hand-scrubbing and the possible associated risk of injury and infection, and reproduce the exact cleaning process every time. The HYDRIM G4 is equipped with a web interface that enables online access and stores all your cycle data automatically, with remote access for fault diagnosis if you wish. 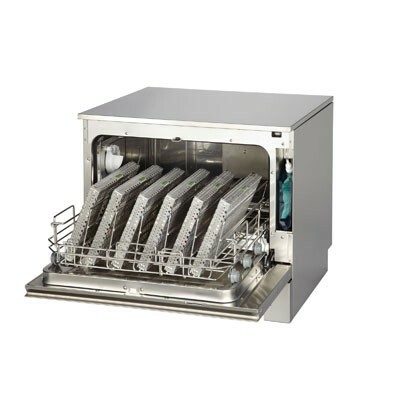 This powerful large-volume washer-disinfector is your first step to effective sterilisation. 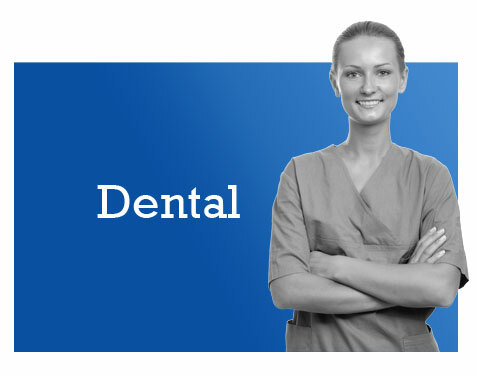 It is intended specifically for medium to large dental or veterinary practices. 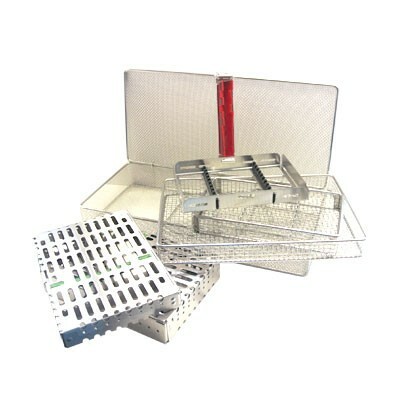 It is most often installed under the counter in a sterilisation centre, but can also be used as a free-standing unit. 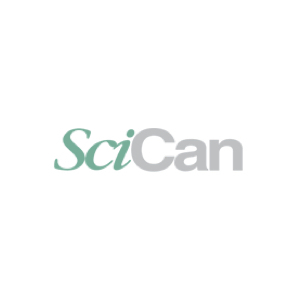 Using the G4 technology and connecting to the internet allows instant downloading of the cycle data and access to the unit records via the SciCan web portal. The glass door allows you to see what is going on inside, and the through-arm drying is extremely effective. These efficient autoclaves have a range of cycles, and can complete a full B-cycle in less than 30 minutes. This includes, in each case, fractioned pre-vacuum and drying. The Vacuklav 41 B+ has a patented air cooling system. Also available with a separate Flexi Display touchscreen which can be mounted separately, the unit has integrated software for clearance, and separate equipment is available for labelling. Serve ICE Ltd are also trained to work on the larger Melag units such as the Cliniklave 45. We also service and repair the Cliniklave 25 (which is no longer manufactured). The Cliniklave 45 will take up to 35kg of wrapped instruments in its extra-large chamber, and has an integrated slide-rail system to assist with loading so is ideal for larger veterinary practices or veterinary hospitals. Despite its size, the Cliniklave 45 can still process loads in 45mins including drying, and the door can be hinged to left or right according to your preference. It is also available in a double-depth version – the Clinklave 45M - which has a longer cycle time but still processes up to 70kg instruments in under an hour. 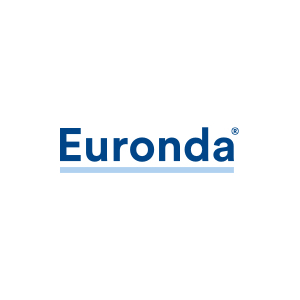 The E10 is the latest Euronda Class B autoclave which has a higher performance vacuum system and optimized drying to make its cycle fast. With lower water and energy consumption than other autoclaves, it is also more economical to run. The E10 features an extremely user-friendly interface. The E-Light changes colour as it moves through the different stages of the sterilization cycle and the innovative E-Timer lets you set tests and cycles to start at a time. The E10 features a new comprehensive and expandable traceability system. All data is saved on an SD card and can be transferred to a computer; optional eWi-Fi and additional printing methods are available. 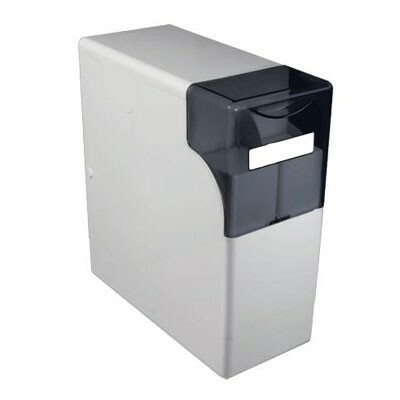 Available in two chamber sizes within the same-sized exterior cabinet, the greater capacity offered by the larger 24l version is of benefit to busy practices. The DAC Universal is a purpose-built handpiece cleaner, oiler and steriliser in one. Designed for the complete processing of handpieces, the DAC can also process other small instruments (with the addition of a separate basket and head). A separate printer or logger is required. Developed specifically to meet the challenges created by the complex design of handpieces, the Statmatic range includes an oiler (the Statmatic), and a cleaner and oiler. The STATMATIC SMART performs fully automated interior cleaning, using a validated process water-based cleaner to facilitate the removal of bacteria, germs and protein. It then oils using precisely the right amount of oil every time, and as it rotates the head this achieves better lubrication than hand oiling. A chuck oiler position is included in the unit. Not only are your handpieces properly cleaned and oiled every time but the cycle is recorded on the in-built logging system. We can also supply NSK oilers, and DAC units. Water produced from our RO system, the Dentaflow (which has been especially adapted for use in dental surgeries), is of sufficiently good quality to run autoclaves and fill bottles for chairs. With no need to steam distil or to buy bottled water, the cost of an RO system is offset over time. RO rinse water for instruments processed by hand or in ultrasonic baths is then ‘on tap’. 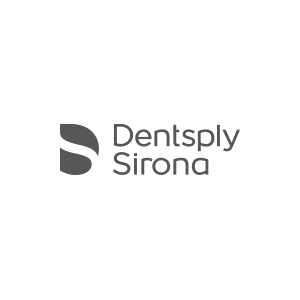 A Dentaflow system is custom-built, entry-level commercial system and is installed to suit your specific requirements with all the extras needed. 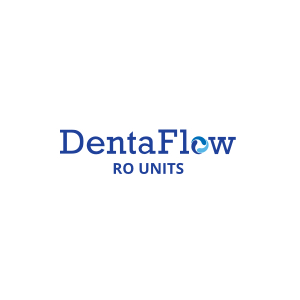 The Dentaflow is much less wasteful (in terms of overall water consumption) than domestic RO systems. 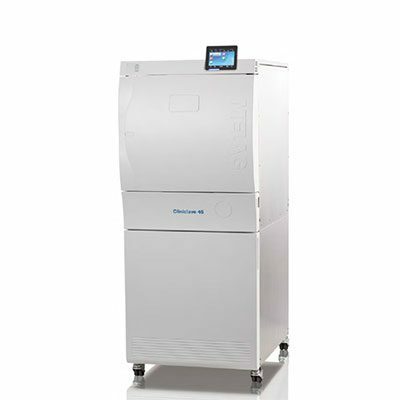 A standard Dentaflow system will cope with up to three autoclaves and a benchtop washer. Water needs to be consistently good, so careful regular monitoring of the water quality is required and a strict routine must be set in place for the changing of filters and the cleansing of the system. 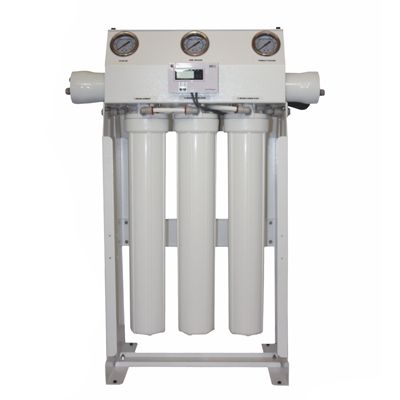 It is recommended that a softener is also installed to prolong the filter and membrane life in hard water areas. Powered entirely by the throughput of water, this non-electric softener can benefit your whole practice if you are affected by hard water. As no electrical supply is required and it is easier to install, you will not have to worry about costly repairs or higher monthly electricity bills. Non electric water softeners tend not to have fiddly controls so adding block salt is all that is required to keep one running smoothly. The Aquastat water distiller eliminates water contaminants, vaporises tap water to kill and remove 99% of most contaminants and protects your equipment. AQUASTAT produces pure water necessary for autoclaves. The AQUASTAT processes 3.78 litres of distilled water in 4.25 hours. SciCan’s AQUASTAT distiller prevents risking damage to your equipment from poor quality distilled water. It kills harmful bacteria and viruses by vaporising water and then reconstituting it through condensation. 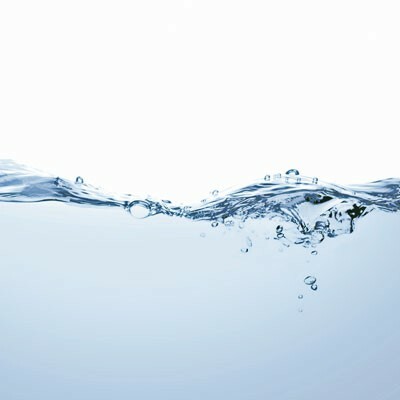 The result is water that’s 99% free of most contaminants. Serve-ICE are proud to be working with numerous companies. If you have any questions or comments, or if you would like to contact Serve-ICE for a quote, please use the form below and we will endeavour to get back to you as soon as possible. We are always happy to help. © 2019 Serve-ICE Limited. All rights reserved.